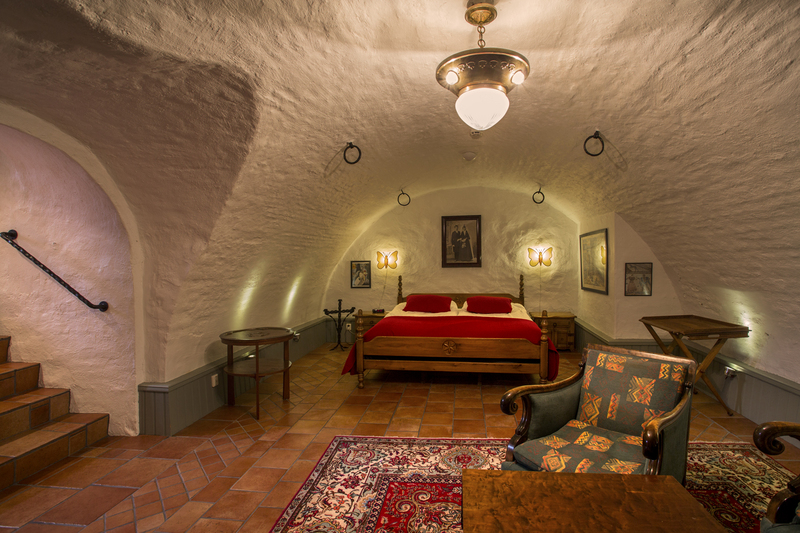 No room at Hotel Gästis is quite like the next. They do, however, have plenty of things in common such as lots of books, paintings and the pleasant mix of old and new. To run a hotel in a building that’s several hundred years old comes with a whole range of unique preconditions. The rooms have to be adapted and adjusted to fit the building in the best way possible. That’s why some of the rooms are sometimes large and sometimes on the smaller side, some have exposed beams and unexpected nooks & crannies, while others have views our guests didn’t anticipate. Our antique furniture, bookshelves and beautiful paintings create an atmosphere out of the ordinary. We do, however, ensure that our passion for nostalgia and patina doesn’t make us forego the mod cons of today! All rooms have fully tiled bath/shower rooms, TV, WiFi, comfy beds and everything else a hotel guest can possibly wish for. All rooms are non-smoking rooms. As a smoker You can choose to stay in our villa with in a room with a balcony, or take a puff in our pleasant smoking lounge. At Hotel Gästis we also have a concept that “not everything should have a price”, so please ask in reception for a list of more or less practical items that our guests are more than welcome to borrow without any additional charges. We have a whole range of items from tennis rackets, braces and irons to board games or umbrellas – and you can always grab a complimentary cup of coffee or piece of cake. The Torell House – the 18th century building, which is the main building of this hotel and houses the dining room, the reception as well as the Lenin Spa. 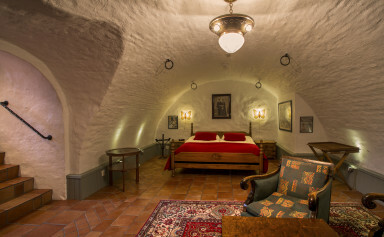 Villa Gästis – A stunning private villa dating from 1894 that can be found diagonally across the street.